The Standing Committee on Public Accounts met with the Minister and Deputy Minister of Water and Sanitation and the senior management of the Department of Water and Sanitation to address concerns regarding the budget, specifically irregular expenditure, fruitless and wasteful expenditure, and deviations. The Committee Members began by reminding the Department of documents and information that they had requested from the Department at the previous meeting. Some time was spent discussing the absence of a former Acting Director-General, crucially involved in some issues, who was at work but too weak to fly to Cape Town. The Committee discussed the War on Leaks programme which had cost R 2.8 billion, but the Department had been unable to point to any way in which the programme had achieved any of its goals. The Standing Committee examined irregular expenditure in the Department, starting with a construction company contract for R 50 million. When the company could not deliver, the Acting Director-General at the time had approved a R 16 million advance. The entire project had failed and, in addition to being irregular, the expenditure became fruitless and wasteful. The Acting DG had been charged and suspended but was back in the Department, and in the Standing Committee meeting, while the Department attempted to finalise the disciplinary action. Consequently, the current Acting Director-General was unable to reveal any details of the case. The Committee discovered that another case of irregular expenditure, where a company was being investigated, had accidently been left off the list of irregularities supplied by the Department. The Committee queried the length of time that it took for the Department to resolve a disciplinary matter. Some matters had lingered for years and only one, on a long list of cases of irregularities, had been resolved. When the Committee interrogated that case, it was found that it was, in fact, not yet concluded. Of particular concern was that fact that most cases of irregularity had occurred when the departmental bid adjudication committee had not had the required quorum to take decisions. Strangely, one official indicated that he was the chairperson of the bid adjudication Committee, but then admitted that he was not. The Committee addressed the irregular expenditure of R 500 million for IT systems, which, it was alleged, involved a kickback of R 35 million, as well as another IT contract involving R 62 million. Both the Department and the Special Investigation Unit of the South African Police Service were investigating the cases. The Committee moved on to fruitless and wasteful expenditure. Again, there were numerous instances where funds had not been correctly managed. In one instance, the Department had had insufficient funds to pay a contractor and had incurred interest of R 11 million. The Committee embarked on a discussion of the deviations from the Departmental budget. The Committee noted 29 deviations in the main account of the Department and 16 deviations in the Water Trading account. There were various reasons and various categories for the deviations. One category was where the Department had declared a service provider to be a sole service provider, although National Treasury disagreed that the relevant companies were the sole supplier in each of the cases. Another reason for deviations was the lack of planning by the Department. The Acting Director-General attempted to divert questions to her colleagues and her responses showed her resentment of the questions that Members were forcing her to answer. The Committee finally lost patience with the lack of responses by the Acting Director-General and informed her that unless she provided the names of all persons responsible for the irregular, fruitless and wasteful expenditure by the end of the following day, the Committee would consider taking action against her as the Accounting Officer for the Department. The Committee also lamented the poor organisational structure in the Department, poor human resources management and the fact that the senior management did not form a team, nor did they seem to meet regularly to discuss issues critical to managing the Department. The Acting Director-General was unprepared for the meeting and admitted that she had not seen or read several of the reports sent to the Committee, nor could she provide any details of the Auditor-General’s management letter. Members noted on the lists of irregular payments that different companies had the same telephone numbers and it became clear that fraud was systemic and long-standing in the Department, and in the political sphere, as the previous Minister had refused to use the Departmental travel agent while the contracted travel agent was paid an amount of R 10 million for travel and accommodation by the ministry over a 55-day period, i.e. expenditure of R 182 000 per day on travel-related expenses. While the Minister had directed that the=at specific travel agency should be used, officials in the Department had approved and paid invoices totally R 10 million in less than two months. Referring to the Departmental Annual Report, Committee Members discovered that the budget for the bucket eradication project in 2016/17 was R 422 million but the actual expenditure was R 832 million, which resulted in over-expenditure of R 409 million. However, the bucket system was still in operation in at least three provinces. A chief director had been charged for the over-expenditure but, after 90 days, the Department had been legally obliged to allow him to return to work. He was also in the meeting. The case was ongoing. The entire Committee, especially the Chairperson, was thoroughly shocked at the waste of money in the Department while so many people continued to suffer the indignity of the bucket system. The Committee demanded full details of the project, including the precise backlog in replacing the buckets. Towards the end of the meeting, the Acting Director-General became more forthcoming and the Committee appreciated her efforts to respond. She named various people who had been charged, suspended, fired, or resigned because of irregular activities, including a previous CFO and Acting Director-General, as well as two other Acting CFO’s and officials in the Supply Chain Account unit. The Chairperson emphasised the lawlessness and the disregard for processes in the Department; the institutionalisation of wrong-doing; the people hiding behind cliques; the lack of a coherent management team and the lack of leadership to drive the entire department in the right direction. People were deliberately keeping knowledge away from the Acting Director-General. It was a huge, huge challenge. However, dealing with water, and being responsible for eradicating the indignity of the bucket system, it was a critical Department. The Chairperson suggested that the Department had been infiltrated by people who were determined that things would not go right. 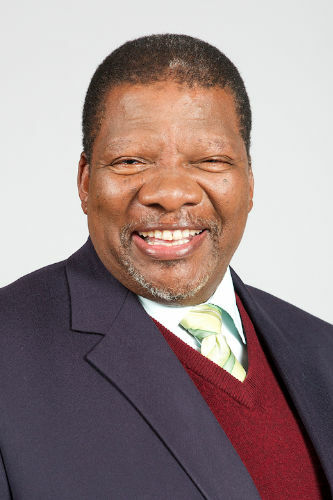 Minister Nkwinti admired the work of the Standing Committee and noted that the Members had followed the normal processes, but he was concerned that, by focusing on the Acting Director-General and demanding answers from her, the Committee had reinforced the tendency of the officials to hide behind the Acting Director-General while making sure that she failed in her work. The Minister agreed that the Acting Director-General was not coping but noted that she had three Deputy Directors-General who were facing disciplinary action and who resisted and blocked all decisions and instructions, even ones that he, as Minister, had made. The Chairperson understood the point made by the Minister, but explained that while the questions were directed to the Acting Director-General her inability to respond reflected on the failings of all the officials. Every official was responsible for the Department. He suggested that the Acting Director-General had to demand that the officials follow her leadership. She had to impose herself on the Department. The Chairperson welcomed the Minister of Water and Sanitation, Gugile Nkwinti, and the Deputy Minister, Pam Tshwete. He congratulated the Deputy Minister, belatedly, on her birthday. The Chairperson noted that the Committee was back where it had been the previous week with the same position and the same issues. The Chairperson welcomed the Acting Director-General (DG) as well as officials from National Treasury and the Office of the Auditor-General. The Chairperson reminded the Committee that it had looked at project overruns and the overdraft in respect of the Department of Water and Sanitation the previous week. Today’s meeting was intended to look at deviations and expansions as well as fruitless and wasteful expenditure. The previous two meetings with the Department and the Minister had assisted the Committee to understand the depth of the challenge, the state of the Department and the magnitude of what needed to be done by officials to turn things around. The meeting provided the officials with an opportunity for them to show their expertise and capability of playing their roles and being able to account appropriately. The officials should rise to the occasion and provide better responses than they had the previous week. The Chairperson was mindful that the Committee had not gone through everything and, looking back, the gaps were evident and, he admitted, it was tempting to go back. The documentation on the War on Leaks really tempted him to go back. He hoped that, in the current meeting, the Committee would not get the impression that the officials did not want to speak to the Committee Members. He did not want to get the impression that people did not remember things or were not sure. He did not want officials to adopt a strategy of appearing not to know anything. He did not want ‘toilet talk’ of officials not cooperating. He appealed to the Department to assist the Committee to understand the issues. Mr T Brauteseth (DA) would be leading the discussion on irregularities but the Chairperson would first allow Members to raise their urgent concerns. Ms N Mente-Nqweniso (EFF) reminded the Chairperson that the Committee Members had requested further information on the War on Leaks, so that it could close the subject, knowing that it had received all the necessary information. The Committee had requested a detailed, itemised list of all expenditures in the programme. Mr M Hlengwa (IFP) asked if A B Singh was present. It was A B Singh’s name that had appeared as the person to whom enquiries should be addressed on the directive presented by the Department at the previous meeting. Ms N Khunou (ANC) asked if the CEO of Lepelle Northern Water was present, as requested by the Committee the previous week. Mr D Ross (DA) referred to a letter relating to the sudden spike and reduction in the Department’s overdraft and asked that someone from the Department spoke to that letter. The Chairperson responded that he had suggested that the CEO of Lepelle Northern Water would be more relevant when the Committee dealt with implementing agents the following day. He was hoping that he would see the CEO in the meeting the following day. The Chairperson informed the Committee that he had received a sick note from Mr Singh. He informed the Committee that the first email had stated that Mr Singh had been put on light duty and had been advised not to fly. Consequent to that Mr Singh had produced evidence of three prior sick notes issued between August and 21 November 2018. Mr Hlengwa was not satisfied with Mr Singh’s absence as he would have supposed that Mr Singh would have gone to the doctor again on hearing that he was required in Parliament if he truly was so sick. He was an integral part of the matter at hand. He was the “alpha and omega of the script” because he could have offered an explanation of the circumstances surrounding the directive. Mr Hlengwa said he would not waste time debating the matter as the person was not there, but he wanted the matter flagged and for the Committee to decide later how to address the matter. Mr Singh was a critical element in the unravelling of the circumstances of the directive. The Chairperson requested the Department to respond to the requests for additional information made by the Committee at the previous meeting and to elaborate on the situation regarding Mr Singh. 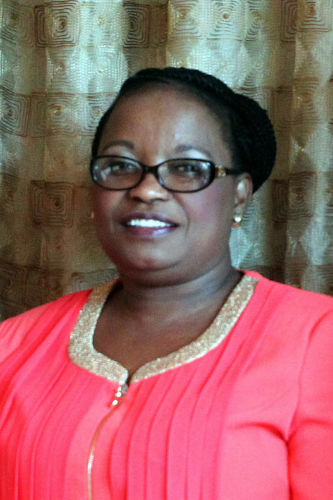 Ms Deborah Mochotlhi, Acting DG, Department of Water and Sanitation, informed the Committee that when she had read Mr Singh’s sick note that indicated the need for him to be on light duties and that he was not able to fly, she had been of the opinion that it meant that situation would continue beyond the date of his last sick note. She did not have a copy of the sick note before her to give a more detailed response. The Chairperson asked Ms Mochotlhi, as the Acting DG, of her own understanding of the whereabouts of Mr Singh. Was he on light duty attending to his normal duties at work? The Chairperson asked for confirmation that Mr Singh reported for work. The Acting DG confirmed that he was at work. The Chairperson asked for a more comprehensive explanation. The Acting DG stated that she was considering whether she should inform the Committee about what was happening with regard to Mr Singh. The Chairperson stated that he did not want to know the nature of Mr Singh’s illness. He wanted confirmation that he was, indeed, sick, and unable to fly. The Acting DG explained that she could not confirm that Mr Singh was ill and unable to fly. She knew only what his doctor had written. However, he reported to work when not booked off sick. She also informed the Committee that Mr Singh was undergoing a disciplinary process and she did not know if that was compounding his ill-health. She noted that the doctor had stated on 19 November 2018 that he had to be on light duty for one month and that he would not be able to fly during that time. The Chairperson was not satisfied. He wanted a clear understanding of whether he was really sick or whether he was dodging issues. Was the Acting DG not concerned about a man who was off sick so frequently? The Acting DG stated that she could not say whether he was really sick. She was, however, concerned and had approached the Labour Relations unit and asked whether his sick leave was credible. She had also asked for an update on the disciplinary case and when it would end. Mr Hlengwa placed it on record that coming to Cape Town was not solely reliant on flying. He hoped that the Acting DG understood the need for the Committee to speak with Mr Singh as he was at the heart of the problem. The next question obviously concerned the disciplinary hearing as he was the one who had generated the directive. What was his disciplinary hearing about? What charges had been levelled against him? Was it charges by the Department or something else? His interest had been piqued. The Acting DG stated that the charges related to, firstly, the backdating of a water use licence and the inaccurate information that, according to the Department’s findings, he had provided to the Portfolio Committee. Mr Hlengwa responded that that was precisely why the Committee needed Mr Singh at the meeting. He was key. He repeated that Mr Singh could catch a bus or drive. If he could not fly, there were other means to get to Cape Town. He would not accept that Cape Town was a distant place, unrelated to South Africa. The Committee would not be pressurised into holding a video-conference with him. There was a history of people making alternative means to getting to Cape Town when they could not fly. Mr Hlengwa informed the Department that the Committee would make alternative arrangements for Mr Singh to appear before the Committee. In the light of the charges that the Acting DG had informed the Committee, it was imperative that the Committee speak to Mr Singh. The Chairperson agreed that Mr Singh should have been at the meeting to talk to Committee Members. He was a state employee and he was paid. If he was too sick to work, there were legal processes to be followed for people who were not well enough to work. But the whole thing sounded to him, very much like a ruse for Mr Singh not to appear before the Committee. The Acting DG should tell Mr Singh that the Committee did not believe him. The Chairperson turned to the question of outstanding documents. He noted that the Committee had received a document headed: “Executive Summary – Project Overrun”. However, he suggested that Mr Brauteseth begin his questions and that Members pick up issues relating to the previous meeting, such as requested documents, once the specific items on the day’s agenda had been dealt with. The Chairperson noted that in the State of the Nation Address by the President in February 2018, the President had announced that there would be a project called “War on Leaks”. He reminded the Committee that the President did not develop departmental programmes. Projects came from the relevant departments and were fed into the President’s speech. The Chairperson handed over to Mr Brauteseth. Mr Brauteseth began by referring to the War on Leaks. The Committee had been informed that the country was losing between R 7 billion and R 9 billion on water leaks annually. The Department had spent R 2.8 billion, but the Department could not say whether things had improved, and an official had stated that it was probable that the situation was getting worse. The Department had to come back to the Committee to explain why R 2.8 billion had been spent and yet the Department had no idea whether the situation had improved. Mr Brauteseth reminded the Department that the Committee had asked for full details of all expenditure on the War on Leaks programme, as Ms Mente-Nqweniso had earlier said. The Committee did not want to be left with the impression that the programme had simply been the creation of an army of 15 000 young people to do the bidding of the former Minister. That was a strong suspicion. Mr Brauteseth greeted the Minister and congratulated the Deputy Minister on her birthday. He informed the Chairperson that he would be focusing on the Acting DG that evening. He was aware that she liked to give her colleagues the opportunity to answer questions, but he would be addressing her that evening. The first question related to the contract awarded to Vuwani in 2012 for R 50 million to a construction company called Ascor Projects and Services Construction Company and a third party. Ascor had not performed on time and, instead of being given penalties, the companies were given money upfront, which was found to be regular. The DG at the time, Ms Zandile Makathini, who was in attendance that evening, had given the construction company a R 16 million advance, even though they had not been able to perform as required. The entire project had failed, and the expenditure was declared irregular as well as fruitless and wasteful. Ms Makathini had been dismissed and then re-instated. Mr Brauteseth asked the Acting DG how she had messed up the disciplinary process with Ms Makathini. His information was that she had messed up both the disciplinary process and a process by the Special Investigative Unit (SIU) of the South African Police Services to sue the official for R 140 million. She had also dismissed the official, but she had been allowed to return because of the Acting DG’s bungling. He asked the Acting DG to explain what she had done. He reminded her that the events had occurred in her time so she could not claim that she was not responsible. Why had she not got rid of the official sitting behind her? The Acting DG explained that it was difficult for her to speak directly into the microphone as she could not sit forward because of her back problems. She responded that she had received and gone through the report from the SIU and had taken disciplinary action based on the recommendations of the report. The official was charged and placed on suspension due to the serious nature of the charges: the Vuwani issue was not the only case. The Acting DG had not attended the hearing as she was not required to attend. The lawyers that had represented the Department had reported to her that Ms Makathini had not wanted to subject herself to the disciplinary process as she did not trust the presiding officer appointed by the Department and did not believe that she would get a fair hearing. The Acting DG explained that subsequent to the lawyers’ report, Ms Makathini was requested to make written representation, which she did, but the lawyers reported that the written representation had not addressed the charges that she was facing. Under the circumstances, the lawyers recommended termination of employment. The Acting DG had found the recommendation prudent. However, the mistake that she had made, and she owned up to the mistake, was that she had asked the Human Resources and Legal Departments whether the delegation to dismiss a DDG was with her. They had informed her that she did have the delegation. Her mistake was not to check the delegations herself. She had signed a termination letter which was subsequently challenged by Ms Makathini’s lawyer and, eventually, she had been allowed to return to the Department. The Acting DG had reservations about going into further details as the matter was still a legal matter. She had been informed that Ms Makathini would take legal action against her in her person. Mr Brauteseth noted that the Acting DG had engaged in a disciplinary process against Ms Makathini who was not happy with the players. Had the Acting DG approached the Commission for Conciliation, Mediation and Arbitration (CCMA)? Had she considered arbitration with completely independent people? Why was the mediator not changed? The Acting DG informed Mr Brauteseth that there had been a process with the legal representatives of the Department and that was the advice that she had been given. She added that the Department had cases that had been going on for too long. In a Department where three DDG’s were involved in disciplinary processes, management and the Department was destabilised. Mr Brauteseth interjected. He wanted to stay narrowly on the process. The issue of others facing disciplinary action was just an excuse. The Acting DG had just told the Committee that the official in question had not liked the disciplinary process. He informed her that in any normal disciplinary process, if the person had a problem with the chairperson, the person would make an application for the recusal of the chairperson, which would be considered and either the chair was changed, or the matter continued. One did not abandon the disciplinary process. In summary, it seemed to Mr Brauteseth that the official had had an objection; the Acting DG had abandoned the process and then summarily dismissed the official, without checking the law. The result was that someone involved in a R 95 million matter – the R 140 million had been adjusted to R 95 million – had been allowed to walk back in. He asked whether disciplinary charges had been laid against the Acting DG or anyone else involved in the matter. How could she let an official involved in a R 95 million scam back into the Department? Was the official being charged? Was the Acting DG being charged? The Acting DG responded that it was her understanding that in the normal course of one’s duty, mistakes were made, and a genuine mistake had been made. She had no reason to suspect any malice from the person who had committed the error. Her conscience would not allow her to charge that person. Secondly, the case was not lost. The Chairperson interjected, asking the Acting DG to answer the direct question. Where did delegation lie? It was an objective thing. If it was with her, someone could produce documentation showing the delegation. She had to explain what had happened to her and what she had done in respect of those who had given the incorrect advice. Had the lawyers been paid in full? It was not about malice. It was about competence. So, it meant that action had not been taken against those officials and she had not been charged. Mr Brauteseth was glad that the Minister and Deputy Minister were in attendance. Was it true that someone could be involved in a R 95 million scam, for which action had been taken in the courts, but the person was still in the Department? Was that acceptable in an environment where government was trying to create clean governance? He would move on and perhaps the Committee could come back to the matter later. Turning to Annexure 4.1.1 received from the Department and which related to the irregular expenditure in the main account and the Water Trading account of the Department, Mr Brauteseth asked the Acting DG why Ikusasa Media was not on the list. The Department had compiled the list. The Acting DG stated that if Ikusasa Media was not on the list, it was a mistake. Mr Brauteseth confirmed that Ikusasa Media was not on the list. He asked the Acting DG to tell the Committee about Ikusasa Media. The Acting DG indicated that she had just been reminded that the matter occurred in 2018/19 but she was not sure about the date. What she knew about Ikusasa was that it was being investigated and that the report was almost finalised. Mr Brauteseth commented that the Committee heard that a lot. He reminded her that she was protected by the Powers and Privileges Act when she sat in Parliament, as was everyone in the room. She could not simply say that the investigation was being finalised. Mr Brauteseth explained that Ikusasa Media was a service provider that had made a proposal in January 2018 for about R15 million, and to cut a long story short, by the beginning of February 2018, Ikusasa had been paid R 29 million and a final invoice of R 34 million was paid before the end of the financial year. He asked the Acting DG to explain how the cost had escalated, why National Treasury regulations had been ignored, and why the contract had not gone through the competitive bidding process. The Acting DG said that one of the implicated officials – no one had been charged as yet – had resigned and the other one was still on maternity leave. The investigation had concluded that the matter was irregular and there was wrongdoing on the part of the officials. Mr Brauteseth asked why it took the Department so long to get to the matters. Why had it taken from March to December to investigate the matter? He had been involved in investigations and such an investigation should take no longer than a month. The SIU had complained to the Committee that it took departments far too long to investigate matters. Why was that the case? What was going on? The Acting DG explained that there were a large number of cases to be investigated in the Department and, secondly, the Department did not have sufficient personnel to assist with the investigations. She had approached National Treasury for assistance with investigative audits, but that assistance had not yet materialised. Because of the financial state of the Department, she could not speedily appoint auditors. The Department had recently extended the period of the term contract so that it could get forensic auditors. She emphasised that the Department was doing its best. She also disclosed that investigations were hampered because document management and control within the Department was not up to scratch. Mr Brauteseth asked if the Acting DG had been responsible for information management as a Deputy Director General (DDG). The Acting DG replied that she had only been responsible for water information and not document control. Mr Brauteseth informed the Chairperson that he was mindful of the need to move on but that the matter, once again, showed the lack of capacity in the Department. It was a most unfortunate case. Moving on to the bid adjudication committee, Mr Brauteseth asked if anyone from the departmental bid adjudication committee was in the meeting. The Acting DG introduced Mr Mkhize, chairperson of Bid Adjudication Committee (BAC). Addressing the Acting DG, Mr Brauteseth pointed out that it was very worrying that a number of awards for contracts had been made when the BAC was not quorate. What was the total membership of the BAC? She replied that there were nine members and the understanding was that five members formed a quorum. The Chairperson asked where that understanding had come from. The Acting DG could not offer an explanation. The Chairperson suggested that if there was an understanding that five members formed a quorum, there had to be a basis for that understanding. If the officials did not know what was required to fulfil their functions, it was problematic. The Acting DG stated that she would hand over to the person responsible. Mr Brauteseth quickly interjected, saying that that was what had happened at the previous meeting. He wanted the answers from the Acting DG. What was her understanding of the Treasury regulations or code of conduct for a bid adjudication committee? Did she know anything about them? What was the rule? He wanted her to answer. He assumed that she wanted to stay on as the DG and he was glad that the Minister and Deputy Minister were watching. The Acting DG replied that it had been explained to her that a quorum should be 60% and not 50%. Mr Brauteseth asked the Acting DG what 60% of 9 would be. The Acting DG replied that 60% of 9 was six people. Mr Brauteseth explained that, technically, 60% of 9 was 5.4 people, but that had to be rounded up to six people. He asked Mr Mkhize why not a single meeting in 2016 had been quorate. On 6 February 2017, there were only five BAC members present and nine bids were approved. He asked how that could happen. How could the BAC not follow the fundamental rules of National Treasury that had been in place since 2003? How could he, Mr Brauteseth, know about that, but the chairperson of the BAC did not know that? Mr Frans Moatshe, Acting CFO, DWS, stated that, for record purposes, he was not Mr Mkhize. Mr Brauteseth asked why he had raised his hand when he had asked for Mr Mkhize. Why had he done that? Was he the chairperson of the bid adjudication committee? If not, he (Mr Brauteseth) did not have a need to talk to him. He asked the Acting DG who had been the DG in February 2017. The Acting DG stated that Mr Gorbachev Mashitisho had been DG at the time, but she pointed out that, as DG, one would not necessarily be aware of how many people were at a BAC meeting. Mr Brauteseth accepted that Mr Mashitisho had been DG at the time. He asked the Acting DG what she was doing about recovering the money as all the contracts awarded by the BAC in February 2017, in particular, were invalid. The Acting DG informed Mr Brauteseth that the investigations into the irregularities had just been concluded but had not yet reached her and it was only after she had read the reports that she would be able to determine the course of action to be followed. Turning to the bid awards of 16 March 2016, Mr Brauteseth asked the Acting DG what she knew about those awards that had been made, once again, when there had not been a quorum. The Acting DG was not sure whether those reports had been concluded. Mr Brauteseth read the list of invalid contracts awarded in March 2017. What was the Acting DG doing to recover the money? Was she just waiting for reports? He reminded her that the irregular awards had taken place early the previous year. In response, the Acting DG told Mr Brauteseth that, as she had previously stated, one had to await a report which would contain recommendations. One would apply one’s mind to the recommendations. The Chairperson interjected, explaining to the Acting DG that the point was the date on which the irregularities took place, i.e. in the 2016/17 financial year. Those activities should have been investigated in the course of the 2017/18 financial year. He would understand if there had been no investigation in the previous financial year. Mr Brauteseth pointed out that the previous week, the Acting DG had been very quick to point out that she was not responsible for anything because it had not happened in her time. He was sensitive to that and was not being unreasonable, but she was currently responsible, and he wanted to know what she was doing to recover taxpayers’ money that had been wasted on invalid contracts. Unfortunately, she could not say what she was doing about any of the irregular expenses. She was simply waiting for reports. It sounded like she was a lame duck. She seemed to be a completely re-active leader. The Acting DG denied that she was a reactive leader. Six months was a short time for all the things that had to happen in the Department. She was doing her very best. When she received reports, she dealt with them. When one spoke of recovering funds, one had to remember that if services had been rendered, irrespective of how the service had been procured; the service had to be paid for. Once she had received all the reports, she would be taking action. Mr Brauteseth asked why he had the information and she did not have it. He did not understand how that worked. He informed the Chairperson that he would move on to a matter that was taking place at that time and he wanted to know if the Acting DG could assure the Committee that something would happen about it. He was referring to the SAP contract (for IT systems) worth R 500 million that was procured without the necessary tender processes or the involvement of the State Information Technology Agency (SITA). He asked the Acting DG to give the Committee some idea of what had happened there. The allegations were that there had been R 35 million in kickbacks. The Acting DG stated that she did not have the details herself. However, she could indicate that she had a person investigating the matter to see what could be done. It had been in the media and had been investigated by SIU so the Department wanted to see if it could terminate the contract. That was the situation but perhaps the investigator, Mr Nthuli, could provide preliminary information. Mr Thulani Nthuli, Acting Chief Director: Data Management, DWS, explained that he was working on the IT system, checking licences. The investigation was partially completed as the investigators had checked all the documentation but were waiting for interviews with identified stakeholders. He explained that the Department had not gone through SITA as per the SITA Act and the National Treasury Practice Note. The Department had an ICT committee that advised it on the procurement of IT services and goods. The committee’s main recommendation, which had indicated that further information was required before a decision could be taken, had been disregarded. Management overall had disregarded the ICT Committee’s recommendation. He stated that, by the following Monday, he would have completed the investigation, depending on the availability of two people. However, the former chairperson of the Departmental Bid Adjudication Committee (DBAC), the former CFO, was no longer a member of the Department and so he would not be interviewing him. Mr Brauteseth asked who had been the former chairperson of DBAC. Mr Nthuli replied that it had been Mr Mpho Mofokeng. Mr Brauteseth asked whether Mr Nthuli thought that SAP, the IT supplier, had been involved in the corruption because there were allegations of kickbacks. Mr Nthuli was not prepared to commit himself to an opinion as one of his recommendations was that the South African Police Services be requested to investigate. The SIU had already been investigating and Mr Nthuli would be sharing his findings with the SIU. Mr Brauteseth asked Mr Nthuli whether he was able to comment on the matter of EOH Technology Service Provider and the Water Trading entity in 2016. Mr Nthuli indicated that it was also part and parcel of his investigation, but he had not yet started analysing the data in that case. 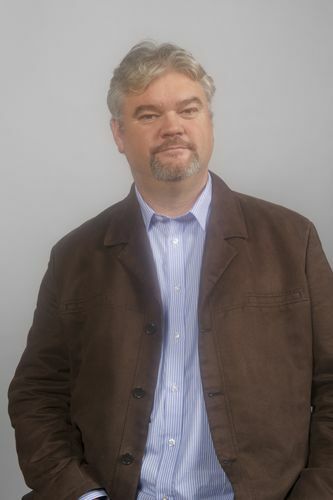 Mr Brauteseth pointed to the date of the event: 31 March 2016. Two years later, the Department was still involved in an investigation into a matter relating to R 62 million. Was that how the Department ran things? He explained to the Chairperson that there were so many irregularities that he was just trying to deal with a couple of things but was struggling to get satisfactory responses. Mr Brauteseth continued with the EOH matter. The contract for R 62 million to support the ICT had not gone through SITA. Did Mr Nthuli have any knowledge of it? Mr Brauteseth informed those who did not have copies of the spreadsheet that the final heading indicated whether the case had been concluded. An “X” was placed in the column if an investigation had not been concluded. Only one of the cases from 2016 onwards had been concluded. Only one line did not have an “X” in the final column in the past two years. What was happening with EOH? The Acting DG said that the response on EOH would be the same as the previous explanation. Mr Brauteseth told the Chairperson that he had identified only the irregular expenditure items that were over R 1 million, but it appeared that the Department would have the same answer for each one and that was that the report was not yet complete. He repeated that, apart from one, no investigations had been completed. Was it the contention of the Acting DG that the Department did not have capacity to investigate any of the items? The Acting DG told Mr Brauteseth that she had made attempts to get additional assistance and the “term contract” had been extended but there were cases prior to 2016 that had to be addressed. She was not sitting back and holding her hands. She was doing something about that situation and all the things that were not okay in the Department, and there was a lot that was not okay. She had tried her best. The Chairperson suggested that the Committee should not personalise the matter too much, as much as it was the Acting DG’s responsibility to respond. The Committee was talking about the failures of a Department over a number of years. It was an indictment on the Department. Mr Brauteseth understood that the official that he was questioning in his role as a Member of SCOPA would get upset, but he could live with it. The point was that the Acting DG was the Accounting Officer for the Department and she had to live with that. She could even be held personally liable for some of the situations, so she was in a tough position. Mr M Booi (ANC) stated that the Acting DG was obliged to answer questions. If the Acting DG had not read the reports, she did not know her job. The Committee wanted to hear from the Accounting Officer, not other officials. The PFMA stated that she was the Accounting Officer and was responsible. Why did she not know what was going on in the reports that she had supplied to the Committee? She was earning double the salary of ordinary officials and had to earn it. What had she been doing in all the years that she had been in the Department? The Chairperson should demand that she respond. Mr Brauteseth stated that there were many instances of fruitless and wasteful expenditure, but a substantial amount was involved in the Vharanani Properties case: R 11 million on overdue interest. What was the original debt that had generated so much interest and why had it happened? That was fruitless and wasteful expenditure. The report stated that the matter would be investigated, and appropriate action taken on the basis of the outcome of the investigation. That was particularly broad. The expenditure had been in September 2017. He asked the Acting DG to give the Committee some guidance on the matter. The Acting DG explained that the R 11 million of fruitless and wasteful expenditure was a result of a court order to pay the outstanding amount of R 30 million owed to Vharanani Properties. Mr Brauteseth asked if the Department was paying 30% interest on the outstanding R 30 million. How could the R 11 million be interest on R 30 million? Why had the Department had an amount of R 30 million outstanding? The Acting DG said that the page that she was reading stated that the amount was for sanitation and had moved from the Department of Human Settlement to Water and Sanitation when it had taken over sanitation. The interest was high because of the length of time that the money had been owed. It had been owed from 2013 to 2017. The Chairperson referred the Committee to the irregular expenditure report where Vharanani Properties had been paid R 524 million between April 2017 and March 2018. That was the company that had gone to court for the R 11 million. The company had irregularly been paid R 0.5 billion and yet went to court for R 11 million. The irregular payment had been made from head office. Mr Brauteseth agreed with the Chairperson that it was problematic. He had highlighted it as a point of discussion but had realised that the Acting DG’s only answer to the irregularities was that she was still investigating it. He explained that fruitless and wasteful expenditure was expenditure that could have been avoided. Who had not paid the bill resulting in the R 11 million interest? The Acting DG corrected a mistake that the Committee had made. The court order had been for R 315 million, which had resulted in the R 11 million interest. Mr Brauteseth asked what Vharanani Properties did. Had it been involved in bucket eradication? Were they implementing agents? The Acting DG explained that Vharanani Properties were not implementing agents. They were professional service providers and contractors. They were contracted for bucket eradication. Mr Brauteseth summed up. Vharanani Properties had done work for the Department. There had obviously been a dispute and Vharanani Properties had won a court battle. Why had the Department not paid the R 315 million? Was it out of spite or maliciousness? Who was responsible for not paying the account and accumulating the interest? Who was responsible for dropping the ball for R 11 million? The Acting DG stated that she did not know but could ask the Acting CFO. Mr Brauteseth interjected. He asked what the Acting DG did knows. She had been called to answer questions as the Accounting Officer and he thanked Mr Booi for his support in stating that the Accounting Officer had to account. The Committee had called the Acting DG and her Department. Prior to the meetings, she had been told by the Chairperson exactly what would be discussed, and she had provided a list dealing with those matters. However, when he referred to her list, she could not respond. Why had she not met with her staff so that she was informed when she arrived in Parliament? She clearly did not take the hearing seriously. What she had forgotten was that the Committee Members took it very seriously and had prepared themselves for the meeting. He added that the Acting DG’s standard response of waiting for a report and not having capacity did not help the people of South Africa who were dealing with sewerage running through their dwellings. He asked again: Who was responsible for the R 11 million? Mr Booi noted that a woman kept running up and down to give the Acting DG notes. He asked if perhaps that woman was the DG. The Acting DG was delaying her answers until she received the notes. The Acting DG had a reputation for not running the Department and for waiting for other officials to tell her what to do. He asked the Chairperson to tell the other lady to remain in her place and to leave the Acting DG to answer. The Chairperson agreed with Mr Booi. He reminded the Minister that the team had been asked to meet and to ensure that the Acting DG would be able to answer all questions on the topics indicated by the Committee. She was not to consult her team in the meeting with SCOPA. That was to be done prior to the meeting. SCOPA had had meetings where a Minister had been able to respond to questions in the finest detail, not because he was operational, but because he listened in planning meetings and read reports on matters. He added that Committee Members were calling for the Acting DG to be informed and to have all the required information at her fingertips. Mr Brauteseth asked the Acting DG to respond to the question. Ms Mente-Nqweniso called for a point of order. She asked whether the Minister would be able to assist the Committee. The Acting DG could not say that she was not going to respond to the assertion that she did not know what she was doing. She did not know what she was doing. She had the programme; she knew what she was going to be asked. But she looked to everyone else to answer for her. She was out of order. If she was not ready to deliver, she should tell the Minister so. It was unfortunate, but if one took the job of a DG, one had to accept the responsibility. The Committee was not playing. She had to answer the questions. Mr Brauteseth stated that he was not asking her to respond to the assertions. He wanted a response to his question about who was responsible for incurring the fruitless and wasteful expenditure of R 11 million. The Acting DG had seen that SCOPA worked as a united front, and not as separate parties. She could not pick Members off as they were united. He did not mind what she thought of him or any of the other comrades, but she had to answer the questions. If she could not answer, she should say that she did not know. The Chairperson asked who the persons were who had caused fruitless and wasteful expenditure by omission or negligence, etc. Ultimately there were individuals who were responsible. The Acting DG explained to the Chairperson that sometimes it was very difficult to mention names when it was in the system, or systemic. The information that she had been given was that the projects ran out of money. There was no money in the Department, which was why the service providers could not be paid. She did not know who to blame for dropping the ball. The Chairperson accepted that that was her answer. Mr Brauteseth accepted that it was an answer, but he could not say whether it was the right answer because he had nothing to test it against. He explained that he had intended going through the general themes as he had done and then drill down into the details of the large amounts listed as irregular or fruitless and wasteful expenditure. From the list in his hand, he could see that the Department had not completed any investigations into the matter, apart from one case, since 2016. There was no point in asking the Acting DG. He was sure that the Committee was wasting its time. However, he would ask one last question that had been sent to the Minister and dealt with the Minister’s vehicle and maybe the Minister could assist in the matter. There had been a question about a vehicle that had been purchased for the former Minister shortly before she had left the ministry for Water and Sanitation. What had happened to that vehicle? The Acting DG stated that she had signed papers that had transferred the vehicle to the Department of Communications. Mr Brauteseth suggested to the Chairperson that he was concerned about wasting his colleagues’ time. The big question was about the R 800 million spent in Giyani. The Chairperson indicated that he would allow colleagues to ask follow-up questions on irregular expenditure and he might then come back to Mr Brauteseth later. That would give him time to sift through things and decide whether he could ask further questions. Mr Brauteseth informed the Chairperson that he was very concerned about the sorry state of affairs. Sitting in the room was an official who had been accused of being involved in a R 95 million scam and had been dismissed and re-instated by an incompetent person who had very little knowledge of process and she was the one who was going to be responsible for winding up all the investigations that the Department said were in process. Could she do it to the satisfaction of the South African taxpayer? He was extremely worried. It seemed that the Department was just going down and down. That was the same Department that, after spending R 2.8 billion, could not say whether the country was winning the war on leaks. He was extremely glad that the Minister was there. Ms Khunou had a different suggestion. She wanted to tell her colleague that the Committee Members had come to the meeting fully prepared, so he could go ahead with his questions. Time was not an issue. He should just carry on and Members would have coffee if they were tired. The Chairperson explained that he had not stopped Mr Brauteseth from asking more questions but was giving other colleagues, especially Mr Booi, an opportunity to pose their questions. Mr Brauteseth would get a further opportunity later. Ms Khunou stated that when the Committee had been dealing with SAPS and SITA and the corruption there, Members had found that the criminals behind the actions had been sitting in the meeting and intimidating the police and the SITA officials. Members had also been told that those officials had received letters and threats before the meeting. She had a problem because Ms Makathini, and other DDG’s had been investigated by SIU and, for whatever reason, Ms Makathini had been re-instated. She suggested that the Committee did not know what happened when the officials were on their own after the meeting. She did not favour anyone who was answering but she found it disturbing that Ms Makathini sat in the meeting. She did not know why the officials were not answering questions, but possibly they had been intimidated. However, the officials were there because they were public servants. She warned that there could be other investigations where they would pay out of their own pockets. She asked the Chairperson to allow Members to discuss the matter. The Chairperson announced that Members were being called to the House of Assembly to exercise their right to vote but would return shortly. The meeting was suspended. The Chairperson re-commenced the meeting. He suggested that the Committee proceed as none of the officials in the meeting were under suspension and no charges had been preferred against anyone at that time. The Committee would not exclude any of the officials. He also did not believe that the lack of answers was because anyone was being intimidated. Either people did not know, or just were not prepared to speak the truth. Maybe, in the environment of Water and Sanitation, no one was innocent. Ms Khunou agreed with the Chairperson, but she thought that officials were concerned that someone was listening to the discussion. She wanted to put it on record that people did talk to them as Members of Parliament and people provided them with documents. It was possible that no one wanted to confront Ms Makathini because everyone in the Department had his or her own “smallanyana skeletons”. Possibly, if someone was confronted, that person would spill the beans. Ms Khunou asked who was paying for the legal fees. Was it the Department or the individuals? She wanted proof because the issue was much deeper than what the Committee was dealing with. She particularly wanted to know who was paying Ms Makathini’s legal fees and, if she was paying the fees, could she afford those fees on the salary of a DDG? Ms Khunou assured the Department that she was not against anyone; she was just doing her job. The Chairperson agreed that the Committee needed information about the legal process that had been aborted because that expenditure had been in vain as the process would have to start again. He asked the DG how much the process had cost. The Acting DG replied that she could not give a figure as the procurement went through the State Law Advisor. She added that the case had not stopped, but was ongoing. The Chairperson accepted that she did not have the figures. Mr Moatshe informed the Committee that Ms Makathini was paying her own legal costs. The Chairperson asked Members for guidance in terms of the process. He suggested that Mr Booi be given an opportunity to put his questions. Mr Ross agreed that Mr Booi should ask his questions, but he had some questions in respect of irregularities. The Chairperson explained that once Mr Booi had asked his questions, Members could ask questions on any of the topics for that meeting. Ms T Chiloane (ANC) suggested that the Committee should finalise the matter of Ms Makathini. The Acting DG had said that the matter was still ongoing. If that was so, should she be there? The Chairperson agreed that the matter was ongoing, but she was not under suspension. He would be hesitant to suggest a specific action. Ms Makathini went to work every day and carried on with her work in the Department. Whether that was right or not, was another question. Mr Hlengwa suggested that the Committee needed clarity from the Acting DG about the new process in respect of Ms Makathini. The Acting DG explained that the process was finding a presiding officer and a prosecutor within a government department, but the process took time and the Department was struggling to find such skills in government. She had written to the Department for Public Service and Administration and had followed up, but she had had no response. She had written to the Public Service Commission (PSC) but after a lengthy period of following-up, the PSC had said that it could not assist. A person identified for the position of prosecutor had recently informed her that he was no longer available. Mr Hlengwa noted that charges had been preferred against Ms Makathini, but the Department lacked the resources to follow up. What was the current status of Ms Makathini? The Acting DG responded that she had been charged but was at work. Mr Brauteseth asked for clarification. The Acting DG had summarily dismissed her in an abuse of power and thereafter re-instated her and charged her again. He did not believe that she had been charged. He asked the Acting DG if she could provide the Committee with the actual charge sheet served on Ms Makathini. How could the Committee take her word that she had been charged? The Acting DG stated that she would provide the charge sheet. Minister Nkwinti informed the Committee that he had taken responsibility and had written a letter setting out what should be done legally. He had given the Acting DG the responsibility to start the process afresh. He asked that the Committee approach him with any questions in that regard, outside of the meeting, as he did not think that it was correct to discuss the matter in the meeting. Mr Hlengwa was not averse to what the Minister was suggesting because the point that he had wanted to make was that there might be a need to look into the manner in which human resources and disciplinary matters were handled in the Department. The previous week the Acting DG had explained how she had been moved to Limpopo, so he found it very odd that she was the one dishing up questionable processes. She had explained her experience as harrowing and now the Committee found that she had engaged similarly in improper practices. It spoke to the state of human relations in the Department and was something that needed to be looked at. Ms Mente-Nqweniso had understood that hiring and firing of senior management staff was the responsibility of the Minister. If the charges against Ms Makathini were so serious that she was summarily dismissed, why was she not suspended when she was re-instated? Mr E Kekana (ANC) indicated that he had some points on the procedure. Mr Brauteseth had dealt with his issues and Mr Booi would address his issues, but as far as the subject of discipline was concerned, he did not believe that the Committee should deal with it as the Minister had indicated that he had given directions for what had to be done. The Chairperson stated that the issue was not about the charge sheet per se but about the procedure. The Acting DG had talked about another three DDG’s were also facing disciplinary action and if there was neither a Chairperson nor a prosecutor, it would be many months before the matters were attended to. The Members of the Committee were called to the House of Assembly to vote and the meeting was held in abeyance until their return. The Chairperson re-convened the meeting. Mr Booi was requested to lead the discussions. Mr Booi asked the Acting DG how many deviations had taken place in the Department, and why there had been deviations. The Acting DG stated that there had been 29 deviations in the main account and 16 in the Water Trading Entity. There were various reasons and various categories. One category was where there was a sole service provider, such as where a system was developed by a particular company and another example was where there was a licence provider. Another example was where a contractor had not finished when the period of contract expired, and the contracts had been extended. Mr Booi asked her to take him through the Deloitte and Touche contract. The Acting DG asked that the Chief Director for Sanitation be allowed to respond to the question as she did not remember the details. She had a big file that she had given to the CFO so that he could find the page relating to each question. That had been her plan. Mr Booi commented that the Acting DG had a plan but someone else had the notes. He was frustrated. The Chairperson informed the Acting DG that she should have the file and page through it. It did not look good if she was waiting for someone to pass her a note. The Acting DG explained that Deloitte and Touche had been engaged to do an investigation into the possible establishment of a single Water Board. It had not gone ahead because the concept was not supported by National Treasury. Mr Booi asked why the proposal had been re-submitted to National Treasury a second time. The Acting DG was not aware that the proposal had been sent to National Treasury a second time and that it had been declined once again. Mr Booi asked if the Acting DG could provide an answer for the Baberiki deviation. The Acting DG explained that the Baberiki deviation was only for additional time, and not related to funds. The company had to complete a number of toilets. In response, Mr Booi asked why National Treasury had asked the Department to test the market. Either National Treasury or the Acting DG was misleading the Committee. The Acting DG stated that she did not have any details beyond that it was an extension of time and she had no reference to National Treasury in the matter. Mr Booi asked whether National Treasury was sending correspondence behind her back. Where did correspondence from National Treasury go? Did it go to her office? He wanted to know what systems were in place in the Department. Other DGs could explain the systems in their departments. The Acting DG confirmed that National Treasury would correspond with the DG but stated that the matter that he was referring to was before her time and she did not have details. She had brought a team along so that those officials could assist in the responses, but the Committee did not want to allow them to speak. The Chairperson explained that any information that the team had, should have been given to her first, before the meeting. She could not ask them to provide information that she did not know in the meeting. It was not that it was not allowed. It just looked as if she did not know what was going on. He asked the Minister to explain to the Acting DG that, after the meeting, she had to sit down with her team and go through what was in the files on Accruals, which would be dealt with in the next meeting, and ask her team for information before she came to the Committee meeting. It could not be that the Acting DG was finding things out for the first time in the meeting. Other DGs might have files with them but often they did not even open them, either because they had been in the position for a long time or because they had prepared for the meeting. That was what the Committee expected. Mr Booi noted that the Acting DG was very angry, but he was only asking for answers. He asked the Acting DG to explain the deviation for Black Dot. The Acting DG explained that Black Dot had been appointed for the valuation of community member properties around Thohoyandou. The community members had been relocated following the building of a dam. When the properties had been evaluated, there had been a variation of values and so a request was made to National Treasury for a deviation, but it was not supported. The information that the Department had received from the company was that the contract had been erroneously written as eight months instead of 18 months, but there was no documentary evidence in the Department to show that it should have been 18 months, and it remained a deviation. Mr Booi stated that the notes before him showed that the toilets had to be completed in response to a report by the Public Protector. The Acting DG had given a totally different story. Which was the correct story? The Acting DG stated that she knew that one of the former Public Protectors had issued a report supporting the communities in the area and that Black Dot was assisting the Department to deliver on the Public Protector’s findings. Mr Booi noted that his information stated that Black Dot had got involved because it had taken the Public Protector’s report to the media and the Minister. National Treasury had, therefore, not agreed with awarding the contract to Black Dot. The Acting DG said that she had dealt with the matter. She had got involved because the community was up in arms in that area. In 2009, Adv Mushwana, the then Public Protector, had issued an order in favour of the community and Black Dot was contracted in 2017. The contract had gone to National Treasury for a deviation because the contract had expired. Mr Booi stated that the Department had been required to test the market and it had not. It testified to her leadership that she could not remember what she had given to the Committee. What were the two issues with Mr H Durieux? The Acting DG stated that she could not find the reference in her papers. Mr Booi replied that it was quite clear that the Acting DG did not read documents that she received, even from the highest level. His name was in the documentation. The Acting DG stated that his name was on the Water Trading Entity spreadsheet. He was an approved professional person: an approved professional engineer. The request for a deviation had been submitted to National Treasury, but it was not supported. Mr Booi asked why National Treasury would have declined a request regarding a professional person. Was the Acting DG on good terms with National Treasury, or were they fighting? The Acting DG was unable to explain why National Treasury had declined. She was unaware of fights with National Treasury but there were misunderstandings which could be a result of the way in which the Department put its requests to National Treasury. Mr Booi asked if the Department had sent the correct information to National Treasury. She was misleading Parliament. What reason had National Treasury given for rejecting the contract with Mr Durieux? The Acting DG responded by reading from the letter that the Department had received from National Treasury stating that the Mr Durieux had been approved as a professional in 2012 but he had retired in 2015. National Treasury wanted to know if there were other candidates that could have taken over from him. The reason given by the Department was not justifiable. Returning to the issue of Black Dot, Mr Booi asked why the bid adjudication Committee had not been quorate. Why had the deviation for Black Dot not been approved? Was there a problem with the bidding committee? The Acting DG stated that she did not have all the documents. Mr Booi expressed his view that the Acting DG did not know what was going on and that the Department had collapsed. Mr Booi stated that he had a lot of questions, but no answers were coming as the Acting DG was getting irritated and he did not want to deal with that. If the Acting DG did not know the answers, she was not the right person for the job. The Chairperson called for follow-up questions. Ms Chiloane wanted to know what the Committee was going to do about the fact that it was not getting answers from the Acting DG. Mr Booi added that the Acting DG did not realise that the Committee had as much time as it needed, and she would be fatigued before the Members had finished asking questions. He had more questions that he wished to put to the Acting DG, but he would wait for his colleagues to ask their questions. He had tried to get evidence that she knew her Department, as had Mr Brauteseth, but she could not answer. He was pleased that the Minister was not intervening because then the focus would no longer be on an Acting DG who did not know her Department. The Chairperson responded to Ms Chiloane. The Committee would proceed as it still had two days with the Department. Ms Chiloane said that she was not suggesting that the Committee stop the hearings, but Members had to write a report and if they did not get answers, she did not know what they would write and present to Parliament. That was her concern, and she was sharing her concern with the Chairperson, and with the Department. Was the Department not taking the Committee seriously? The Chairperson pointed to the programme on the last day which dealt with leadership and management. It should therefore not become a new topic at that stage. He would allow questions from Members. Ms Mente-Nqweniso stated that she would take the Committee back to documents that had been requested the previous week. That information had not been provided. Secondly, the Committee was not getting further information in the current meeting and Members could not wait until the last day. The Department had a minus balance and it was people in the Department that had taken the Department to that position. The Committee wanted the names of people involved. Where the Department had not renewed a contract, it had ended up with interest which was fruitless and wasteful expenditure. A person had been under investigation since 2016 and there was no answer to who should be doing what. Those were the simple answers that Members wanted. Ms Mente-Nqweniso added that there had been no tangible answers. The Department had to go back to each item in the documents provided to the Committee and determine when the investigation into the case would take place and who was responsible. She did not want to hear stories. She wanted to know who was not doing his or her job. The Department extended contracts and did deviations, even when National Treasury had not allowed them to do so. Mr Booi had asked for the names of the responsible individual in just four of the long list of cases and he had not received a single name. She suggested that the Chairperson send the Department back to return the following day with the answers. They had not provided the itemised billing for the War on Leaks. All the answers referred only to the background. Itemised billing would indicate where project costs had been inflated. Ms Mente-Nqweniso added that if she looked at the Giyani project, the cost worked out at R 1.4 million per borehole. Who had authorised the payment of such an amount? Who chose the implementing agent? Who was responsible for that? Mr D Ross (DA) shared the concern of his colleagues. If they wanted to get to the bottom of it all, the Committee had to talk about political responsibility. He was glad that the Minister and Deputy Minister were present. As the Chairperson had said, on the final day the Committee could talk about internal controls and leadership models. He suggested that it was also important to talk about consequences and, in particular, consequences for the irregular expenditure and the deviations. His concern was as a result of the amount of deviations in the previous financial year: R 1.6 billion. The aggregated amount was R 6 billion. He saw the Minister nodding and he knew that the Minister would accept political responsibility, but the Committee Members could not wait for the last day. Mr Ross asked the Acting DG to give an indication of the not-complete investigations into irregular expenditure. How much time did the Department need to complete the not-completed irregular expenditure investigations? Mr Brauteseth had done a tremendous job in trying to source information, as had Mr Booi. Perhaps the Committee should give the Acting DG time to complete the investigations. Secondly, Mr Ross asked about the Management Letter from the Auditor-General to the Department. Would the Acting DG be willing and able to provide the management reports to SCOPA as they contained information about what was happening? The Committee had tried to source information, but the budget was complex and massive, and it was a strategically important Department. Mr Ross pointed out that the Committee Members were not speaking generally, but talking to specific figures from the Department’s budget. One of the most important figures was that relating to the repayment of financial liabilities by the Water Trading Entity. In 2017, the repayments were R 4 billion. However, instead of improving, repayments had declined to R 2.9 billion in 2018. R 1 billion was missing. 40 payments were being made through improper channels. Would the Acting DG be willing and able to provide SCOPA with the management reports? He asked for the DG’s response. Lastly, Mr Ross said that he would be dealing with the internal audit function and the internal auditor had only started work in January 2018, so he requested all the previous internal audit reports and the checks and balances for the past three years as well as the names of those responsible for them. They were necessary to be able to discuss leadership, management, and consequences. Reports from the bid adjudication committee were also required. Ms Khunou stated that when the Minister had spoken, he had said that there was no team spirit. The team had not met and prepared for the hearings. National Treasury and the Auditor-General had said that there was a problem with leadership. Either the Acting DG was alienating herself from her colleagues or they were not helping. Their gestures said it all as the Acting DG had no information and could not help. Perhaps the Committee should ask management to respond. Mr Hlengwa stated that the previous week he had tried to locate the Acting DG in her other roles in the Department, but the Committee would not be able to pin her down as she had taken a conscious decision not to be held accountable. He had never experienced such a high a high level of obfuscation and total shutdown to accountability. She could not account in a vacuum. He had questions, and, at an appropriate time, he would like to pose the questions. It was blatantly clear that there had been a systematic collapse of accountability in the Department. He added that, at the Association of Public Accounts Committees (Apac) meeting, it had been announced that number two in the top 10 in irregular expenditure in government was the Water Trading Facility with 93% of irregular expenditure relating to non-compliance of procurement requirements, while Water and Sanitation was number four with 56% of irregular expenditure relating to non-compliance of procurement requirements. If it did not shock the Department that it appeared twice in the top 10 for irregular expenditure, nothing could shock it. Yet the officials could not put the truth on the table to resolve the situation. Mr Hlengwa concluded that to stop the session would be to play into the hands of the officials and the narrative of “I do not know.” The incompetence and shallowness of the Acting DG’s responses was unacceptable. In the absence of appropriate responses, the Committee would have to make recommendations on the inappropriateness of the Acting DG. If the strategy had been to frustrate the Committee, it had not worked. Mr Booi stated that the communities that were suffering were the poorest of the poor, but no one could get answers from the Acting DG who thought that she was smarter than the Committee Members. If she wanted to be a DG, she had to prepare for meetings. Members had given her a chance, but she had not responded, and they would have to use their voices against her if they wanted to protect the poor. Mr Kekana had been observing the team and it was very clear that there was no teamwork. He proposed an adjournment so that the Acting DG could meet with her team. When she asked others to answer, it was clear that she was not in control of the team. The gestures of other officials showed clearly that they were on holiday or were deliberately appearing disinterested. He appealed to the political leadership to talk to the team about their preparation. He wondered when the Department had last held a senior management meeting. Mr Brauteseth echoed Mr Ross’ request for an indication of when the investigations would be complete. It was possible that the status of the Acting DG that prevented her from completing the investigations, so he wanted to ask the Minister and Deputy Minister to provide assistance in getting the resources required to complete the investigations. He added that that in terms of the DBAC, the awards made on 16 February 2017 and 16 March 2017 were invalid. The Acting DG had to collect all information in terms of which bids had been approved, who had chaired the meetings, and who had attended. Sections 44, 45 and 57 of the Public Finance Management Act (PFMA) would apply to the people involved, including the CFO, the Chairperson, and attendees at DBAC and the Chief Director of Supply Chain Management who were all accountable and liable for the non-adherence of the requirements of the PFMA. The law demanded that she institute proceedings against those people and SCOPA wanted evidence of the case. The Chairperson had heard all the Members, and several were saying that the Committee should re-schedule. He had deliberately begun the meeting with a reference to “toilet talk”. Members should not fall into a situation of giving up when they were frustrated by non-responses. If the Department was told to go and prepare itself, it would have achieved what it had set out to do: to derail the meeting. To let anyone answer took away the responsibility from the Acting DG who, in terms of law, had to respond. She had to be the centre of the Department. The Chairperson reiterated that the Committee was dealing with a very important Department. As a comparison, SASSA only affected 13 million people while the Department of Water and Sanitation affected every single person in the country. The country was told that there was no money, but the Committee could see in the documents before it, that money had been wasted. The Committee would sit until 1 am, if necessary. If the Acting DG was not getting information, it meant either that people did not deserve to be in the Department or that the Acting DG was not acting in terms of the law that required her to ensure that she obtained information from everyone in the Department and knew what was going on in her Department. The Chairperson added that if one said that the Department had been looted, the question was by whom. Had the looters been outsiders or officials? Was it by officials who had an interest in ensuring that there was no free flow of information? The Department had been failed by the political leadership and the DG. It had not woken up one day to find that it had failed. He wanted to get back to the issues. The Acting DG was requested to submit the documents that Mr Ross required. Mr Hlengwa noted that Mr Booi had asked questions about Black Dot and the issue of the Public Protector had arisen. The Acting DG had said that she had been particularly involved in that matter. The chronology was fuzzy in his mind and so he asked the Acting DG to take the Committee through the Black Dot events and the finding by the Public Protector that had prompted the action. The Acting DG stated that she had only got involved when the Department had to respond to the Auditor-General and when the community had had issues with the Department. In 2009, the Public Protector had found that the Department had to pay those community members who had not been paid and that the Department had to repair the community houses. She had already explained that the Department had entered into a contract with Black Dot to do an evaluation of those properties. When the Department responded to the issues of the community, it was found that Black Dot had not submitted its report. Eventually, about two months earlier, the Department had received the report from Black Dot and was currently processing the claims of the communities. The contract had been awarded in 2017. Mr Hlengwa observed that the Public Protector order had been made in 2008 and in 2009. He had made his findings known. Eight years later the Department had appointed a contractor to effect the findings. Did that speak to a Department that planned its activities? Did that speak to a Department that honoured Chapter 9 institutions? He could not understand why it had taken eight years to appoint a contractor. He asked to what extent the Acting DG had been involved when she had been the DDG for Planning in the Department. The Acting DG informed the Chairperson that she had explained when she had become involved in the matter. She added that the Planning Branch had not been involved in the matter. Mr Hlengwa accepted her answer. How did she as Acting DG explain that the Department only responded eight years later to the findings of the Public Protector? The Acting DG stated that one of the reasons given for the delay was that the sub-directorate for land matters had been placed under Corporate Services and not under the branch for Infrastructure which was the branch responsible for the building the dam and re-housing communities. Mr Hlengwa observed that the Department had been in disarray in terms of its own structure and functioning for eight years which meant that no one knew where to place the matter. Did that speak to a healthy, functioning Department? The Acting DG agreed that it did not because of what had happened. Mr Hlengwa asked what impact the bungle had had on communities. The Acting DG stated that the impact was negative and added to the bad reputation of the Department. It was undesirable for people to wait that long and she had tried her best to get the situation to where it was. The Chairperson was outraged. The community had to get the Public Protector to force the Department to carry out its duties and even after that, the Department had taken its time, looting had taken place and officials had lined their pockets. The attitude of the Department was outrageous. Mr Hlengwa asked whose responsibility it had been to respond to the Public Protector’s findings. The Acting DG stated that the matter had fallen under Corporate Services and Relocation, which was under the Infrastructure Branch because the funds to pay had to come from the Water Trading Authority. Mr Hlengwa explained that he was using that example as a case study for functionality in the Department. He asked whether the Public Protector’s report had gone directly to the branches. The Acting DG replied that the report would have gone to the Accounting Officer of the Department who would have given it to the appropriate branch. Mr Hlengwa agreed that the bungling had started at the very top and that in eight years the Accounting Officer had not followed up on the instruction. In an attempt to track the matter, he asked what monitoring was in place to monitor that something as important as a finding by the Public Protector was actioned. The Acting DG had been unable to find any tracking mechanism to follow up. She had only got involved when the community raised the matter and she had been pushing to get justice done for the community. She had got a copy of the findings and the CFO had assured her that the community would be paid before Christmas. Mr Hlengwa told the Acting DG that her response did not sit well with him because the Auditor-General’s reports referred to outstanding matters in departments. Was she saying that the Auditor-General had not once raised the matter in the eight years that it had been outstanding? Or was it never a finding or an outstanding matter? The Acting DG did not know whether the Auditor-General had raised the matter but because it was an embarrassment, her focus was on getting the community paid. The Chairperson suggested that the situation should have been painful, not embarrassing. Mr Hlengwa assumed that the Acting DG and all senior officials had sight of the Auditor-General’s reports and the Annual reports, so she should know whether the Auditor-General had raised the point. Reading those reports would be essential to anyone in a leadership position. Was there no reference in the Management Letter from the Auditor-General? The Acting DG said that she had already stated that she did not go to previous annual reports and Auditor- General reports. There was a myriad of cases and so she was unable to remember details of all the cases. Mr Hlengwa found it difficult to believe that a DG and the DDG’s in a department did not meet to work through the Auditor-General’s report. It was also bizarre that she should say that in all her years in senior management that she had never seen an Auditor-General report. Had the Auditor-General ever raised the matter? The Acting DG had said that she had been very involved in the matter. How had she found out about the matter? The Acting DG replied that, firstly, the Department had received a letter from the community and, secondly, the deviation had brought the matter to her attention. Mr Hlengwa stated that he had been on an oversight visit to Thoyondou with the Committee on Cooperative Governance and Traditional Affairs where the Members had talked to officials of the Department of Water and Sanitation, including the Parliamentary Liaison Officer (PLO). He imagined that the report of the Committee as well as the notes made by the PLO would have been fed back into the Department. Had the Auditor-General raised the matter? He asked the Acting DG to respond simply with a yes or no. The Acting DG said that she had already responded. There were so very many issues in the Department that one could not remember everything. Mr Hlengwa asked if she had just jumped into the matter without considering where the problem came from. She had stated in court that there had been a problem in one of the branches in 2017. If she could remember anything, she should remember that case. The Acting DG said that she had made a mistake saying that she was involved in the matter. She had only been involved in trying to resolve the pain of the community. She had spent so much time trying to get the bottom of the issue to assist the community. Mr Hlengwa agreed that she had been involved and that she had investigated the source of the problem. Who had been responsible for the problem? What were the consequences for those who had bungled the matter? Who had been punished? The Acting DG replied that Black Dot had been included in the charges against Ms Makathini. Mr Hlengwa stated that the Auditor-General would have raised the matter in relation to Black Dot, if for no other reason than Black Dot would not have been appointed if there had not been a finding by the Public Protector. He used the example of the VBS situation to make it clear that nobody cared about the little people. Officials had referred had heard the problem during the Portfolio Committee visit, and had returned to the Department but done nothing. What were the consequences for that? People did what they wanted, when they wanted and without consequences. Mr Hlengwa asked permission to resume his questioning later as that issue had annoyed him greatly. Ms Mente-Nqweniso referred to the list of irregular expenditure in the main account. Item number 3 was the only item that had been concluded. The action taken was qualified by stating that confirmation would be sent to National Treasury once the Department had received confirmation that none of the officials had received any undue benefit. How could the matter be concluded if the Department was still waiting to hear whether anyone had received undue benefit? The Acting DG explained that the services had been procured without going to SITA. The Chairperson repeated the question. The Acting DG said that she had discussed the matter with the team who had told her that the former Minister had been involved in the process. She was only narrating what she had been told. There had been a problem between the late Minister Edna Molewa and the former DG about the contract because the latter had wanted to go to SITA and the Minister had ordered her not to do so. There had been a legal battle. The Chairperson stated that the Committee was not looking at documents from 2012. She had to refer to the documents that the Department had provided to the Committee which dealt with the same company, VCX, but dealt with an amount of R 88 million had been irregularly spent. He asked the Committee Secretary to provide the Acting DG with a copy of the file that the Members had. Ms Mente-Nqweniso repeated her question relating to irregular expenditure in 2017/18. The Acting DG said that she had been starting at the origin of the contract. The Chairperson asked why officials had to be investigated if the Minister had ordered the contract. Her response did not correlate with the note against the irregular expenditure. She was responsible for what she had written in the report. The Acting DG said that senior management had agreed that should be the approach, but the managers had subsequently found other issues. She had no reason to deceive. Ms Mente-Nqweniso agreed that National Treasury could not approve an irregularity if the details were not clear. She asked whether the Auditor-General would agree that the matter had not, in fact, been concluded. She also told the Acting DG to provide the names of the officials who were to be investigated to ensure that they had not benefitted unduly. The Acting DG said that she had already stated that no officials in the meeting were to be investigated and the conclusion of the matter was for her to write to National Treasury and explain the situation. The Chairperson asked her to explain why the notes in the irregularities stated that officials were being investigated and yet, in truth, there was no investigation of anyone. The information sent to Parliament had been unverified and she had just confirmed that it was incorrect. It was wrong information. Ms Mente-Nqweniso reminded the Acting DG that there were serious consequences to lying to Parliament in order that her office could look good, having concluded one case. Had she verified that there had been value for money from the R 88 million contract? How had she determined that? The Acting DG could not say that she had determined that there had been value for money. She did know that the VCX contract had run in the Department. She confirmed that it was an IT contract. Ms Mente-Nqweniso told the Minister that what was happening in the Department was that one could have a contract in which a laptop cost R 500 000 and it would be considered value for money. That was how money left the Department. There was no checking of itemised expenditure. She understood that the Auditor-General would not approve the expenditure, even if the Minister had approved it, because the Auditor-General could not find value for money. Ms Mente-Nqweniso asked why the column for the person responsible was blank for all irregular and fruitless and wasteful expenditure. The Acting DG stated that the VCX contract was for IT support, not for the purchasing of laptops. There were blank spaces where there should be the name of the person responsible because the investigations had not been completed. The people would only have been identified in the course of the investigation and as the investigation was incomplete, the Department had considered it dangerous to identify people. Ms Mente-Nqweniso did not accept the explanation because the first action in investigating was to find out who had signed off. The person who signed off on the procurement was the person responsible. There was no question about that. There was nothing dangerous or untoward in naming the person who had signed off. It could not even be challenged in court. The Acting DG had done it deliberately because she did not want to tell the Committee who was messing up the Department. She asked if the Committee could get the names. The Acting DG said that the Department could provide the names of those who had signed for the payment, but that was not the same as the person responsible who could only be found during an investigation. The Chairperson emphasised that, although things were going wrong and money had been looted, no person was held accountable. The individuals had to be named in order for there to be accountability. One started with who had signed off. If the Department did not know that, it did not even know the starting point for investigating. Ms Mente-Nqweniso stated that the Committee Members would not rest until they had names. Who had signed off the R 88 million? The Acting DG stated that she was not trying to hide anyone as she had committed to turning the Department around. There were a number of issues and challenges in the Department. The Department would provide the names of those who had signed and would clarify to the persons that their names had been submitted because they had signed and not because they had done wrong. She would not damage anyone’s reputation. Ms Mente-Nqweniso responded that the Minister would have to teach her a thing or two about running a department. There was no such thing as damaged reputation when someone signed off monies but did not know where the money had gone. One was accountable for signing off monies in terms of the PFMA and officials signed under the mentorship of the Acting DG. The Chairperson agreed that the Department should provide the list of names of those who had authorised the payment, and by the end of business the following day. The word ‘finance’ was not acceptable when the Committee asked for individual names. Ms Mente-Nqweniso referred to an irregular expenditure in terms of a travel agent who was said to be a sole agent. The Auditor-General had been unable to find evidence that the travel agency was a sole agent and yet R 10 million had been expended on travel for the former Minister and the Deputy Minister for two months. It was abnormal. She asked for an explanation. The Acting DG said that it had been discussed and the Minister had had several issues with the travel agent within the Department and had insisted on using the services of a travel agent that she had used in Gauteng. There had been a submission from the Minister’s Chief of Staff and Mr Singh, who had been Acting DG at the time, had signed for the travel agent to be appointed. The Chairperson asked the Acting DG what she would have done. She responded that she would have checked whether supply chain services allowed it or not, and, if not, she would have explained that it could not be done. Ms Mente-Nqweniso asked the Acting DG whether R 10 million seemed normal to her. The Acting DG said that while it seemed unreasonable, it could have included the entire ministerial office and overseas trips, so she could not really say if it was normal. She had not had time to check the itinerary and other details. Ms Mente-Nqweniso stated that the Acting DG had to learn the power of breaking down numbers. R 10 million over 55 days gave one R 182 000 per day. The Minister might have instructed the use of the particular travel agent, but the Department had signed the invoices. R 10 million could not be spent on travel for the Minister in two months. There had to be kickbacks. It also amounted to gross carelessness. Turning to another item, Ms Mente-Nqweniso asked about the R 4.3 million irregular expenditure on entertainment by the Corporate Branch. The reason given was to support a public meeting in the Eastern Cape. The explanation was that the meeting had been held and value for money obtained. But it did not even state how many people had attended the meeting and what was bought with the R 4.3 million. It was apparent that money left the Department via irregular expenditure that was explained as value-for-money but there was clearly no value for money. R 158 million had been spent on toilets in the Northern Cape but there was no indication of how many toilets had been installed or whether they had, indeed, been installed. She asked for explanations. Mr Ross referred to the Chairperson’s decision that the Department should re-submit the schedules with names. He disagreed with the Department changing the heading of the column. He pointed to the item on irregular expenditure of R 88 million which the Department had declared as concluded, having taken action against an official. It was not concluded because National Treasury had not condoned it. Regulation 12.7 of National Treasury Regulations spoke to non-condonement of irregular expenditure. It indicated that the Accounting Official could be held accountable in terms of recovery of the money. It had a serious consequence. The Acting DG had stated that it was a directive of a Minister that had passed away. However, in terms of timeframes, it could not have been that Minister. He questioned the accountability of, and consequences for, the executive authority who had given the directive. Mr Ross suggested that the Committee had a huge responsibility to act on the presentation in terms of the misrepresentation and also the misrepresentation as to which Minister was involved, and to refer it to the SIU in terms of the specific item. It would be the responsibility of the new Director of the Prosecuting Authority. The case should be an example in instances where there was misrepresentation to the Committee. The Chairperson explained that he had agreed that only the name column should change; no other information would be changed. Ms Chiloane referred to the executive summary relating to project over-runs, specifically the bucket eradication project. The summary stated that the completion date of the bucket eradication programme was June 2015. The Auditor-General had said in an emphasis of matter that it had become an unauthorised matter because it had not been budgeted for. In how many provinces had the Department run the bucket eradication programme? What was the initial budget for the project? Who had been charged for initiating the programme without a budget? What was the outstanding backlog on the project? The Acting DG responded to the first question. She could not say exactly but, as far as she knew, the buckets were in the Northern Cape and the Free State. The budget for the project in 2015/16 was R 975 million and had resulted in an over-expenditure of R 23 million. The budget for 2016/17 was R 422 million. The actual expenditure was R 832 million, which had resulted in over-expenditure of R 409 million. Some of the funds spent on the project had not been budgeted for. The Chief Director for Sanitation had been charged. She did not have figures with her regarding the backlog but would provide the Committee with the project report recently presented to the Portfolio Committee. Ms Chiloane said that, in a nutshell, the Department had over-expended just over R 400 million; only the Northern Cape and the Free State had buckets; and a Chief Director had been charged. The Acting DG explained that the case was ongoing, and the Chief Director (CD) had been suspended but he was back in the office. The Department had been unable to conclude the case within the number of days stipulated by the Labour Law. Ms Chiloane addressed the Minister and Deputy Minister saying that it was the second instance of a case that was in process and the accused person had returned to the Department. It did not make sense. The Members had been told that it was a CD who was being charged. There was no point asking for the person’s name, probably because names were expensive in the Department of Water and Sanitation. Members would just have to google to see who had been the chief director. The Chairperson asked for the name of the CD. The Acting DG stated that he was in the delegation. It was Andre van der Walt. Ms Chiloane asked about procedures in the Department. She could not understand how people were charged, suspended, and then back at work. She added that buckets were still in use in Mpumalanga, an even in the Free State, so the programme was not working. Moving on to deviations, Ms Chiloane asked how many projects had been continued by the Department after National Treasury had not approved the project. The Acting DG said that three projects had been continued despite the lack of approval. The projects were Implex, Andimahle and Ikusasa. Referring to Ikusasa, Ms Chiloane stated that National Treasury had not supported the project because the service was not an emergency. The Department had, nevertheless, spent R 30 million on the contract. Why had the Department continued with the project? The Acting DG stated that the matter emanated from the Communications section of the Department. The company organised events for the Department, and, particularly, for the Minister. The Chief Director for Communications was on maternity leave, and the DDG had resigned. Reading from the document before her, the Acting DG stated that the event had been urgent and there had been no time to advertise for a contractor for the event. Ms Chiloane asked about Day Zero in the Western Cape. What was the emergency? Ms Khunou said that she could count the number of days when the Day Zero campaign was on television and that could not account for R 30 million. Ms Khunou raised an issue that she had experienced in her constituency, Thaba Nchu, and in Motheo. The problem with the bucket system was that it was a health hazard, especially for children, and there were times when the buckets were not removed. The Department had wasted R 30 million on something that had not happened, but it was not an emergency to eradicate the bucket system. The previous week, the Committee had asked the Department for its plan for bucket eradication. The Committee wanted a plan so that it could hold the Department accountable. The Acting DG stated that the Department had plans for bucket eradication. The Chairperson requested that the Department submit the plans by the end of business the following day. The Acting DG stated that she could only submit the plans on Friday but, if the Chairperson insisted, she could submit the plans the following day. The Chairperson asked whether she was referring to the plan that had already been submitted to the Committee. The Acting DG explained that she had was going to ask Ms Makathini to make some additions to the plan, based on recent discussions with the Portfolio Committee, but would, instead, re-submit the plan that had already been submitted to the Committee. The Chairperson asked why she had not given that explanation but had planned to deceive the Committee. That was bad. She intended to give the Committee a plan that she acknowledged was not good enough, but was not going to tell the Committee that. She had implied that the only difference was time, not content. He did not appreciate her manner of doing things. It undermined the Committee and suggested that she would provide just any document to the Committee. It was so very wrong. Why could she not explain that the Department needed to supplement the current document as it was inadequate? Ms Khunou noted that after 24 years of government, the Department still did not know how to prioritise. Section 38 of the PFMA described the functions of an Accounting Officer. The Accounting Officer had to sign off every irregularity. The over-use of service providers was a problem. The Annual Report showed that even though the Department had an internal audit unit, it had contracted out the function of checking unauthorised and irregular spending at a cost of R 64 million. What did the Acting DG understand to be the job of an internal audit? The Acting DG stated that the matter had been fully investigated and the investigation had confirmed that the matter was irregular. Action had been taken against those involved in the process. Three of the officials involved had resigned while there were others undergoing disciplinary processes. Referring to the 2017/18 Annual Report of the Department, Ms Khunou noted that the investigations into the irregularity had been completed, but no disciplinary processes had begun. That was contrary to what the Acting DG had said. Who were the officials? What were their names? The Acting DG stated that disciplinary action had taken place subsequent to the date of the Annual Report, which was March 2018. The officials involved in the case were the former Acting DG, Mr Siphiso Mkhize; Mbalula Mkhuza who was the Chief Director for Financial Accounting but had been the Acting CFO until she went on maternity leave; Rebecca Ngoma, Chief Director for Finance in Water Trading and Acting CFO during the time. Also disciplined was the Chief Director for the Supply Chain Account, Mr Mbeki, and the Director for Supply Chain, Mr Hlakudi. Returning to the topic of over-use of consultants, Ms Khunou noted that the Department had wanted to contract Deloitte Touche on a due diligence project. What did the Acting DG understand to be the job of planning and monitoring, especially in the light of the fact that the Department had its own planning and monitoring branch? The Acting DG explained that the Planning and Monitoring Branch only did planning and monitoring of water resources. Given the nature of the activity of due diligence of an institution, it required a neutral perspective. It was, however, not in her time, but she would also have gone for a neutral person to undertake due diligence. Due diligence required someone to examine the institution and present a report on the status of the institution. Ms Khunou appreciated the fact that she was answering the questions. Even though National Treasury had not approved the contract, the Department had gone ahead and paid Black Dot R 1.7 million. Who had done that and what had happened to that particular official? The Acting DG recalled the amount as R 700 000. She had earlier indicated the officials mentioned. It was Ms Makathini, and a deputy director who was still to be charged. Ms Khunou continued by asking what consequences the officials had suffered. The Acting DG explained that the rule was that once an investigation had been concluded, one would face a legal challenge if the person were to remain suspended. Referring to the Annual Report, Ms Khunou noted that the Department had given itself a target of 90 days to finalise cases. However, there were cases dating back to 2016. Could the Acting DG explain the target of 90 days? The Acting DG explained that the 90 days was a result of deliberations and not the Department’s own target. If a case had not been concluded within 90 days, the official had to be brought back to work. Ms Khunou suggested that if that was the case, the Department should have developed a system for finalising cases within 90 days. What was the plan to ensure that the Department adhered to the 90-day rule? In response, the Acting DG stated that it would be very difficult to have such a plan as the investigation required assistance from other role players as the Department did not have sufficient prosecutors and presiding officers. If a case went to the CCMA, it could take four years. She could not provide a plan as she would have to engage other role-players to see how they could assist. Ms Khunou stated that Water and Sanitation was a key Department and the legislators would not allow anyone to bring the Department down under their watch. According to the Auditor-General, there were no processes and procedures to deal with the Division of Revenue Act (DORA) or irregular expenditure. What was the Acting DG doing, as an accounting officer, to put systems in place? The Chairperson suggested that the Committee could expect a response in the session dealing with systems, internal audit, and leadership. Mr Hlengwa reminded the Chairperson that he had requested certain information and documentation on 30 November 2018. He wanted an assurance that it would be submitted the following day. Ms Khunou asked the Acting DG who Nazeer Cassim was. She responded that that he was the advocate assisting with the case. He was not part of the Department. Ms Mente-Nqweniso asked about the Water Trading irregular expenditure. She referred to a couple of notes that indicated that procurement for an amount above R 500 000 had not been done through competitive bidding. The Department had requested clarity from National Treasury about consulting services. Why did the Department need clarity from National Treasury? The regulation applied to all procurement. The Acting DG stated that she could not answer the question because that issue of asking National Treasury for information had not surfaced during the senior management discussions. Ms Mente-Nqweniso replied that she would wait for the answer as the point related to a large sum of money, i.e. over R 100 million. She referred to two further items of the list. Two different companies were listed, but they shared a single telephone number. That was fronting. Why had it not been picked up? How could they not be aware? She was sure that it was a few people who were responsible for all the irregularities. The Chairperson stated that it was not a mistake. It was not that someone had overlooked the same telephone number. The people involved were just so brazen. They had done the same thing so many times. Ms Mente-Nqweniso noted that the list of names expected from the Department the following day would assist in identifying the culprits. She asked about the itemised billing for the R 2.8 billion spent on the War on Leaks programme. The programme should have resulted in the stopping of leaks. Where should the students have been placed and where were the students at that time? The documents simply showed that the students had been placed at legitimate schools, but no other details of the plan or programme had been explained. Mr Booi noted that the Department had an internal audit committee. What did the committee do? All the work that the SCOPA had seen had been undertaken by the Auditor-General and not by the internal audit committee. Where was the head of that committee? The Chairperson suggested that that question be raised when the Committee addressed the question of the internal audit. Mr Booi asked for an update on the current placement of the War on Leaks programme. The Acting DG replied that the programme was with the Rand Water Board. Mr Booi enquired whether the programme had ever been with Mhlathuze Water Board. The Acting DG agreed that there was a time when the intention was to take the programme to Mhlathuze. Mr Booi noted that the Minister had been defied as she had said that would take place. The Acting DG admitted that there had been a directive from the Minister in that regard, but there had also been a withdrawal of that directive. The Chairperson noted that the current Minister had withdrawn the directive, eleven months later. He asked if the initial directive had ever been implemented. The Acting DG confirmed that it had never been implemented. Mr Booi responded by asking how much that process had cost the taxpayers. The Acting DG was not aware of any costs incurred. Deputy Minister Tshwete explained that the agreement for the project had already been signed by Rand Water Board. In order to avoid a legal challenge from Rand Water Board, the directive had been reversed. There were no costs involved. The Deputy Minister added that the Department had an annual “Back to School” programme. However, she identified at least one school where the indicated amount of money could not have been spent on that school. It was one that she had personally identified for assistance. Although the records stated that R 4 million had been spent on the school, it still had not been repaired, nor were there toilets. She indicated that the Chairperson might want to follow up that matter. Mr Booi agreed that there were other challenges. He had read the reports about students leaving school because they had not been paid their stipend. He asked why, when the Department had picked up the problems, they had not been attended to. Students left school because their stipends were not paid. Why had the Department not done something about it? The Deputy Minister gave new reasons for why students did not stay in school. What had the DG done about it? The Acting DG replied that there were two reports, but she had not looked at those things. She had only looked into the things that the Committee had requested her to prepare. The Chairperson asked how reports could have been published when the Acting DG had not looked at them. The Acting DG responded that the work was done by the Programme Managers. There was too much work. If she had to go through every report, nothing would ever get published. On a point of order, Mr Hlengwa asked to make a point to the Acting DG. Quite clearly there was a problem. How could she, as an Accounting Officer, send reports to a Committee when she had not had sight of them? How was she going to account? The fact that she had sent documents to the Committee without having read them explained why the Committee was experiencing such chaos. It was, quite frankly, a dereliction of duty. That statement was indicative of where the problem experienced by the Committee lay. He asked who had compiled the file sent to the Committee. It was just a paper mill. Mr Booi stated that it was an embarrassment that the Acting DG had come to Parliament but did not know what she was talking about. Mr Brauteseth stated that he would go through the list one more time. He felt that the Committee had been flogging a dead horse for the past few hours. The Acting DG had tasks to complete. She had to show the Committee that there was recovery of irregular expenditure; that there was asset recovery where there had been fruitless and wasteful expenditure; that criminal action had been taken where necessary. If she did not do that, the Committee would go after her in her capacity as the Accounting Officer. He trusted that the Minister and Deputy would assist her. It had been a painful exercise for him. He had not even touched on many of his questions because she would not know the answers. The Chairperson told the Minister and Deputy Minister that if the previous week’s engagement had been a shock to the system, that day would have confirmed the Committee’s understanding of the situation. The Committee’s investigation would be unyielding and unchanging and, if anything, more thorough. People coming to the Committee had to prepare themselves properly. He added that that morning at 10 am, the Committee would deal with accruals and implementing agents. The Committee would be drilling down to specifics and would want names, surnames, and positions of those involved in misconduct. It was about departmental work. If there was anything to be taken home from that evening’s session, it was that preparations had to be at a much, much higher level than had taken place so far. SCOPA was standard. Every meeting, morning and night, was handled with the same intensity and officials had to rise to that level. The Chairperson emphasised the lawlessness and the disregard for processes; the institutionalisation of wrong-doing; the people hiding behind cliques; the lack of a coherent management team, and the lack of leadership to drive the entire department in the right direction. Like his colleagues, he was not impressed by other officials who could recite everything because that meant that the balance of power, in terms of knowledge, was away from the Acting DG. People were deliberately keeping knowledge away from her. It was a huge, huge challenge. However, it was such a critical department as it dealt with water, and was responsible for eradicating the indignity of the bucket system. He could not understand how people could not address those issues. The Department seemed to have been infiltrated by people who were determined that things would not go right. The Chairperson was particularly concerned that funding for eradication of the bucket system was largely by means of virements. What had the original budget been? What was the actual backlog? The Committee wanted to know. The huge irregular expenditure extended to the previous political head. He wished that she were there so that he could say it in her presence. It was not gossip and it was not personal. It was about public money and the example political leadership should set. The rot was from top to bottom. Where was the morality in a situation where projects were stopped, and money was wasted on travel? Technically, the Minister had not instructed the Acting DG. Instructions had been taken from the Chief of Staff. Referring to the original submission about moving the War on Leaks project to Mhlathuze, the Chairperson noted that the same signature appeared for the Chief Director and the DDG. He noted that the Committee had flagged two instances where the political leadership had failed. He also summarised what the Members had to prepare for the following sessions. The Chairperson invited the Minister to comment. 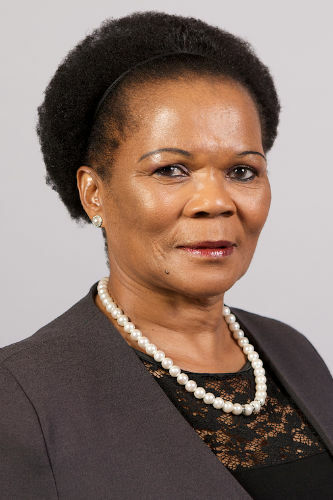 Minister Nkwinti admired the work of SCOPA and the Members were following the normal processes in their meetings but he hoped that by focusing on the Acting DG and demanding answers from her, did not reinforce the tendency of the officials to hide behind her while making sure that she failed in her work. That was what he was trying to deal with. After the meeting the previous week, he had told the officials what to do. He had called them in on Monday to discuss the preparations. He had followed up on Tuesday and had instructed them to finalise the documentation and brief the Acting DG. The Minister agreed that the Acting DG was not coping but she had three DDG’s who were facing disciplinary action. SCOPA was destroying what little he had to work on in the Department. He gave an example of the War on Leaks programme. He had met with the college and SITA and been briefed on how the college was owed money, despite the amount already spent on the programme. Children had been brought from Port Elizabeth to attend the college and now there was no money to pay the college or stipends. Officials promised to assist, and a technical team was put together. He, himself, had taken the responsibility for spending more on the programme, beyond the budgeted amount, so that the students could go back to college and write their examinations in September 2018, thereby avoiding fruitless and wasteful expenditure. The previous day, 3 December 2018, he had been shown a memorandum by the Acting CFO and Ms Makathini that they did not support paying the colleges and the stipends. They demanded that the Minister write a directive, which they would then bring to SCOPA and blame him. He had told them he would take responsibility. There were 1 000 students who might soon be ending up on the street. He expressed surprise that the issue had not been shared with the Committee. The Minister was concerned that the DG had been undermined by the SCOPA process, much as he admired their strategy. He found that he was going to have to write a directive to get officials to pay the college, in spite of the turnaround strategy. He would continue to do his best to turn the Department around in the next six months. The Chairperson explained that while the questions were directed to the Acting DG, her inability to respond reflected on the failings of all the officials. Every official was responsible for the Department. His opinion was that the Acting DG had to demand that the officials follow her leadership. She had to impose herself on the Department. But he took the point made by the Minister.